In a battle of Turkish Airlines Euroleague heavyweights, CSKA Moscow improved to 6-3 in Group A by downing FC Barcelona 79-65 at home on Thursday. CSKA and Barcelona are now tied for second place in the group. CSKA would have the tie-break advantage in the teams remain knotted at the end of the regular season, because it lost by fewer points, 9,when the teams met last month in Barcelona. Sonny Weems paced the winners with 18 points, 5 rebounds and 5 assists. 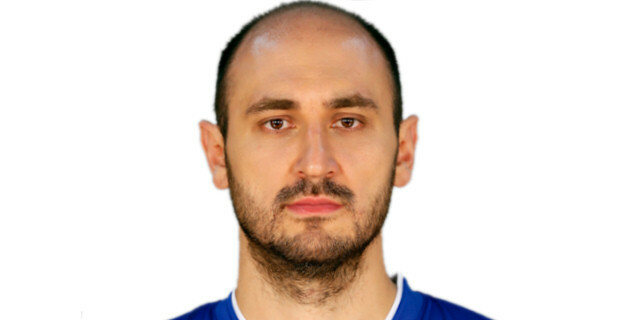 Nenad Krstic added 12 points and Andrey Vorontsevich had 10 for CSKA. 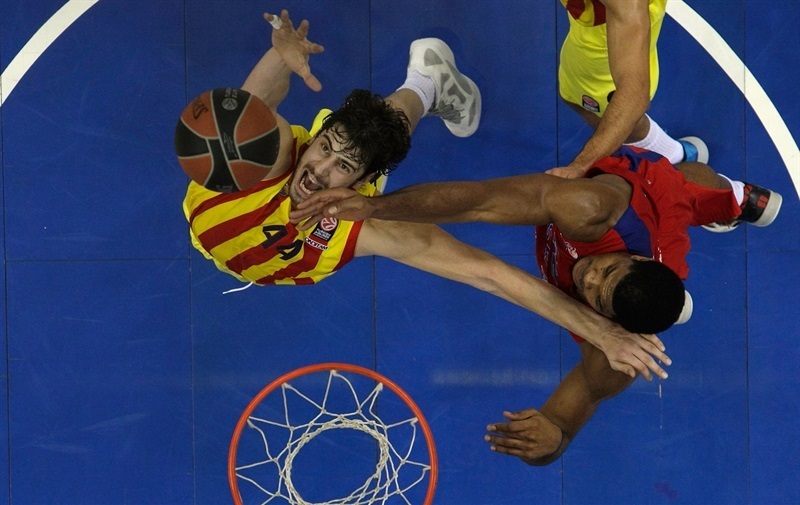 Brad Oleson led Barcelona with 14 points in his first-ever Euroleague game with the club. 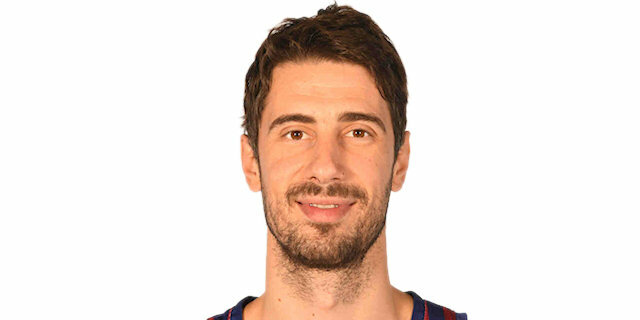 Juan Carlos Navarro scored 12, while Ante Tomic posted 10 points plus 10 rebounds for the guests, who led 20-21 after 10 minutes. An outstanding Weems and Vitaly Fridzon led CSKA to a double-digit lead, 42-31, at halftime. Oleson led Barcelona's comeback and a three-pointer by Navarro gave the guests their last lead, 50-52, late in the third quarter. A 9-0 run which Aaron Jackson capped with a coast-to-coast layup put CSKA ahead for good, 59-52, and the hosts kept going until the final buzzer. Both teams struggled to score early until Ante Tomic dunked. Marcelinho Huertas banked in a one-handed floater for a 0-4 Barcelona lead. Kyle Hines scored down low and erased Tomic's layup with an easy basket off a steal. Weems split free throws and a jump hook by Sasha Kaun gave CSKA its first lead, 7-6. Surprising starter Mario Hezonja struck from way downtown and a jumper by Milos Teodosic tied it at 9-9. After Andrey Vorontsevich scored around the basket, Bostjan Nachbar buried a six-meter shot. A step-back jumper by Weems restored a 13-11 CSKA edge. Victor Sada took over with a jump hook that Krstic erased with a turnaround jumper. Krstic split free throws before Weems gave CSKA a 18-15 lead. Oleson – in his first Euroleague game with Barcelona – and Vladimir Micov traded free throws, but a layup by Sada and a tip-in by Joey Dorsey put the guests back ahead, 20-21, after 10 minutes. Weems split free throws early in the second quarter, as CSKA improved its defense and refused to allow open shots. A five-meter jumper by Vorontsevich put the hosts back ahead, 23-21. Hezonja shined with a driving basket in transition, which Kaun matched with a power layup. Vorontsevich nailed a three-pointer, but Jacob Pullen answered from downtown. Tomic stepped up with a tip-in only to see Vitaly Fridzon follow a running shot with a wild backdoor layup that gave CSKA a 32-28 lead. 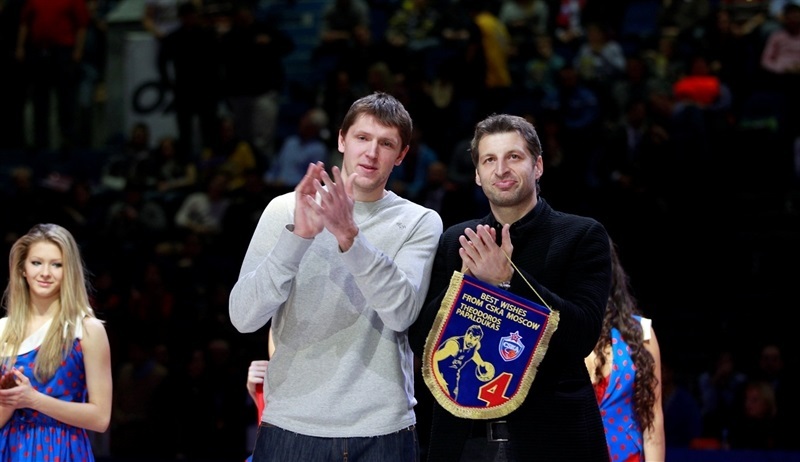 Fridzon kept pushing CSKA with a baseline jumper. Pullen scored again, but a long two-pointer by an unstoppable Weems boosted the hosts' lead to 36-30. 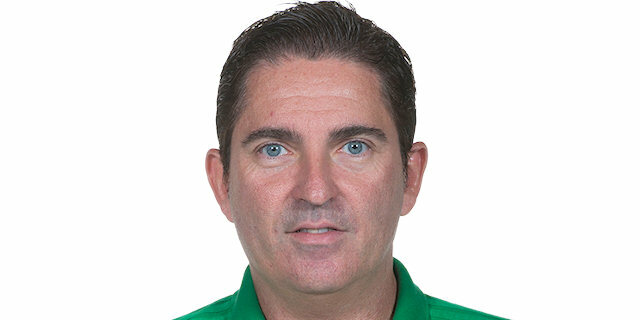 Juan Carlos Navarro split foul shots for his first point. Micov nailed a jumper and a driving basket by Weems made it a 9-point game. Barcelona called timeout, but Krstic buried a mid-range shot for a 42-31 CSKA lead as both teams headed back to the locker rooms. Oleson nailed a mid-range jumper after the break and Barcelona held CSKA scoreless for more than two minutes. A close basket by Nachbar gave Barcelona hope at 42-35. Hines stepped up with a reverse layup that Oleson bettered with a three-pointer. CSKA struggled to score and a close basket by Tomic made it a 4-point game. Oleson scored in transition to force CSKA to call timeout at 44-42. Kaun took over with a big basket in the low post. Navarro improved on that with a triple. Oleson scored again to complete Barcelona's comeback, 46-47. Sada shined with a one-handed floater in the lane that capped a 0-7 Barcelona run. CSKA tried a more dynamic lineup with Aaron Jackson, Fridzon and Weems together on the court. Krstic sank a jumper and Weems copied him right after that to put the hosts back ahead, 50-49. Navarro and Weems struck from downtown to fix the score at 53-52 through three quarters. Fourth quarter: CSKA wins, gets the tie-break advantage. 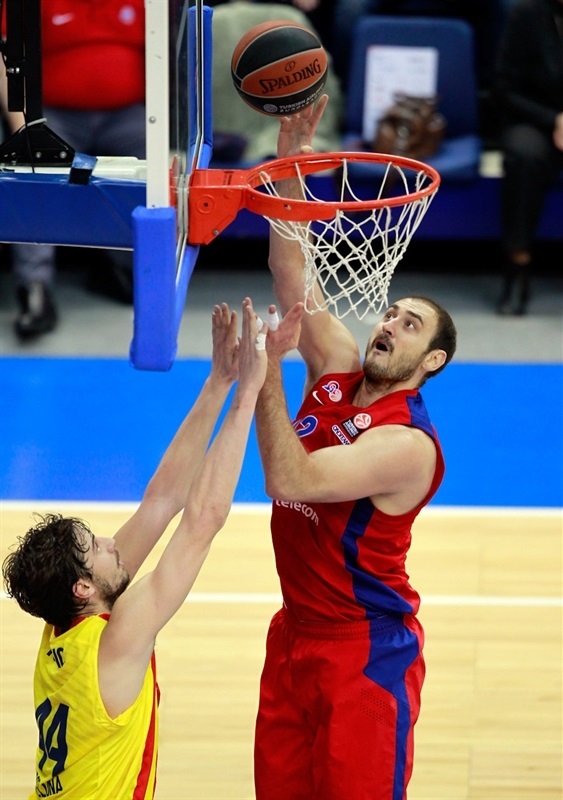 Krstic buried back-to-back six-meter jumpers early in the quarter, giving CSKA some fresh air at 57-52. Barcelona was held scoreless for more than two minutes as it struggled to score without Navarro on court. A coast-to-coast layup by Jackson capped a 9-0 run and saw the guests call timeout down 7. Dorsey scored down low, but Krstic split free throws and a three-pointer by Vorontsevich boosted CSKA's lead to 63-54. Navarro answered with a rainbow shot from beyond the arc, but Jackson joined the three-point shootout to make it 66-57. Oleson nailed a three-pointer only to see Hines gave CSKA a 68-60 edge with three minutes left. Teodosic ignited the crowd with a seven-meter bomb that sealed the outcome. The teams kept fighting for point differential, a critical issue in the fight to finish second in Group A. Micov shined with a fast break basket and a dunk by Jackson allowed CSKA to round a near-perfect home win. "It is great to understand that the team played hard, with heart and intensity with the exception of the beginning on the third quarter. Overall we played together and got what we wanted. I’d like to mention the great atmosphere in Gomelsky Arena again. 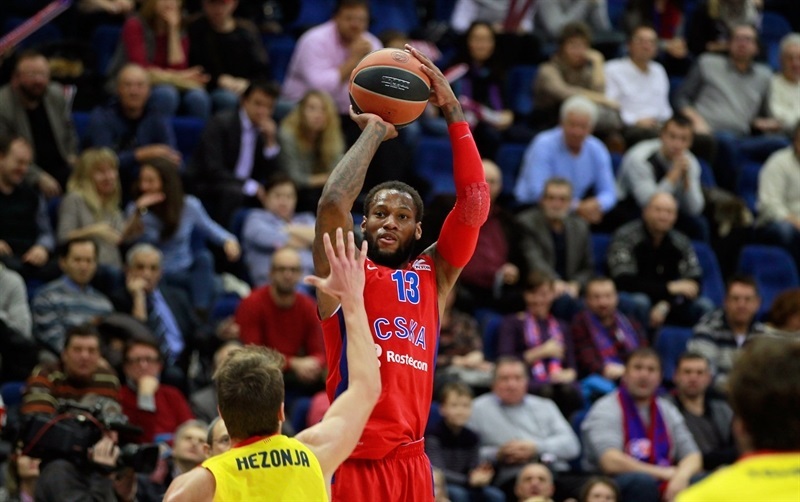 I think Sonny Weems played a fantastic game, one of his best games in CSKA uniform. He played smart, he was patient, he took the right decisions. And he guarded Navarro really well." "We weren’t consistent, especially on offense. In two quarters we scored 21 points and in two other quarters we scored no more than 13. To beat CSKA you have to play better. Our two-point shooting percentage was bad. With our style of the game we should shoot better from the two-point distance. We were also surprised with the level of physical contact. We were not ready for this." "It was a good game, probably the best of the season. For the first time after a long time we played team basketball. We shared the ball and played smart in offense and defense. I think the primary goal for us was to win by more than 10 points – which we actually did. Now we have to forget about this game, we must beat Partizan. We succeed because we just prepared the best way for today, followed the game plan and all the players were really focused." "We lost the game, I don’t have much to say. We had a chance to be second in our group if we won or lost by less than 9 points. But we didn’t make it, so we’re gonna probably be third. We will see what we have in the Top 16. We made a lot of mistakes in one game – in some moments offense and in the other ones defensive rebounds. The army men were really good offensively today."